Food, exercise and weight control are three basic pillars that people with diabetes have to monitor to control this disease. In addition, in each case, the doctor will recommend the most appropriate treatment depending on the personal situation. Along with these treatments of conventional medicine, we can find herbs and natural products to help in diabetes ; These alternative products help control blood sugar levels, reduce insulin resistance, and prevent complications related to diabetes. Remember, if you are thinking about using some of these natural products, consult with your specialist doctor to make sure that there are no drug interactions, and to always establish the appropriate doses. Some of these supplements have shown promising results in different investigations, and they continue to be studied in order to reach more definitive conclusions. In the following article, from FNF we show you the most used natural supplements for diabetes, and its main benefits. The use of cinnamon in natural and alternative medicine goes back hundreds of years, being a very popular remedy in traditional Chinese medicine. Therefore, it is not surprising that it has been the subject of numerous clinical studies to determine its effects on diabetes. 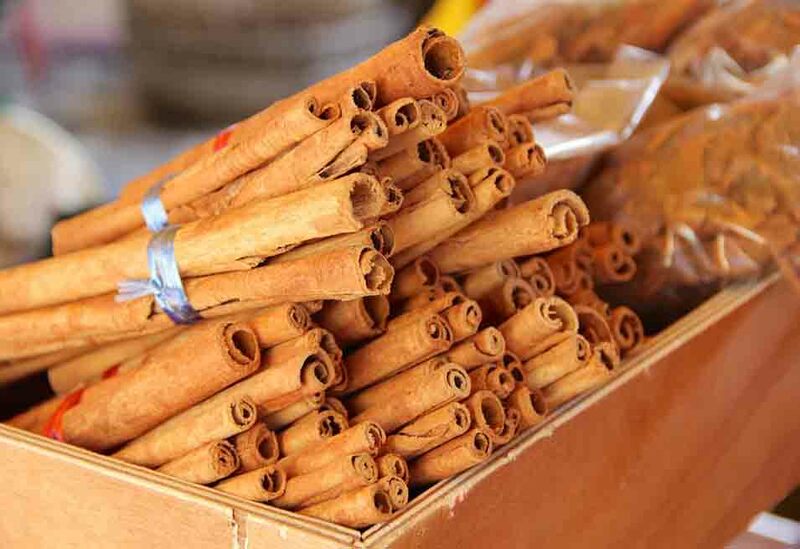 In several studies, cinnamon has been effective in controlling blood sugar levels , increasing sensitivity to insulin, and making it work more efficiently. In addition, it has also been helpful in the complications that arise as a result of diabetes, being a useful spice to lower cholesterol and blood pressure in patients with type 2 diabetes. Chromium is a chemical element, involved in the metabolism of carbohydrates , and has gained popularity in recent years. Although the opinions of experts vary in their usefulness for diabetes, thanks to different research conducted in mice, it has been concluded that chromium can help maintain safe levels of blood sugar. This is because chromium potentiates the action of insulin. Also, the data collected by the American entity NHANES (National Health and Nutrition Examination Survey) revealed that those people who took a chromium supplement, are less likely to develop type 2 diabetes. We must always be careful with the amounts, because it can lower glucose at undesirable levels. A powerful antioxidant, Alpha Lipoic Acid (ALA) helps fight oxidative stress, lower fasting sugar levels, and reduce insulin resistance. As with chromium, ALA must be consumed taking into account the recommended doses, so as not to reach too low sugar levels. We find it in different foods, such as red meat and broccoli, and it can also be found as a food supplement. Berberine is a plant compound found in some plants, and it is widely used in traditional Chinese medicine. Of increasing popularity, different studies conducted in the laboratory show beneficial effects of berberine to control blood sugar. On the other hand, preliminary clinical studies yield results comparable to other diabetes medications, with added benefits such as a decrease in cholesterol. A recent research carried out by the Center for Biomedical Research in the Network-Physiopathology of Obesity and Nutrition, links a deficiency of this vitamin with the onset of diabetes . The study, in which 118 patients participated, lays the foundations to continue studying the work of vitamin D in this disease, and its possible role in prevention. This fundamental mineral and involved in many processes in our body, also has beneficial effects in people with diabetes. Several studies suggest that people who follow a diet rich in magnesium are less likely to develop type 2 diabetes . In addition, it seems that high levels of glucose, increase the losses of this mineral, so it will be especially important for diabetics to ensure that they have the optimal levels of magnesium. Other natural supplements that need attention are turmeric, melatonin and probiotics, as they can also be beneficial. These and other natural options are widely used by people with diabetes; some with more or less evidence behind their backs, and of which studies and research continue to refute its beneficial effects. Remember , if you are thinking of using some of these natural products, check with your specialist to ensure that there are no drug interactions, and to always establish the appropriate doses .